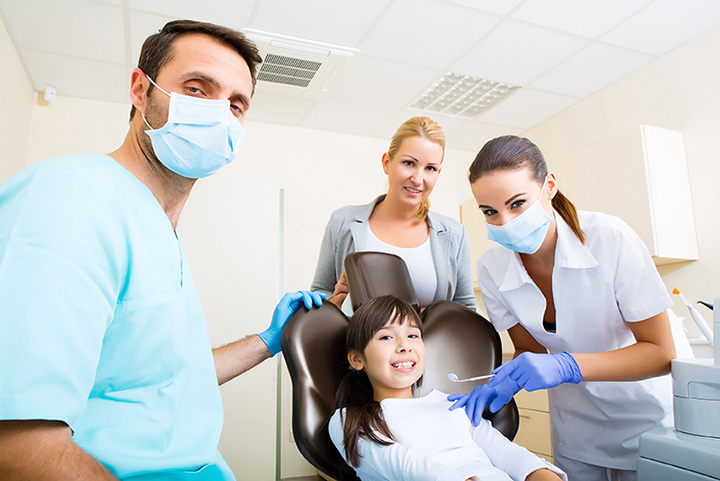 Choosing a dentist for your children is a big decision. The experience that kids have in the dental chair can affect how they feel about going to the dentist for the rest of their lives. Furthermore, good oral health as a child can be a lifelong habit that can improve overall health and longevity. To help make the decision easier, we've gathered up a list of the 10 best kid-friendly dentists in Mississippi. At PSC Dentistry in Columbus, the staff is dedicated to treating all of their patients with compassion and respect. This is great for kids, because the team will really help take the time to make sure your child is comfortable before any work is done. Did a little collaboration with @floursouthern to surprise the guys over at Porter, Singley, and Crane Family Dentistry with smoothies and some amazing cupcakes! At Pediatric Dentistry of Brandon, Dr. Henry W. Cook has made it his mission to educate children, teens, and their parents about oral care. The office has a fun play area, so your kids will be excited for their checkup. From start to finish, the team will work hard to ensure your child has a positive experience. At South Mississippi Smiles, you'll find a fun and upbeat environment designed to make the entire family feel comfortable. Parents are welcome in the treatment rooms, and the team goes above and beyond to make the experience fun. Kids love that there's a TV in the ceiling to entertain them during their checkups! Like mommy, he asks lots of questions! Dr. Kenneth Johnson is a parent himself, so he knows how important (and hard!) it is to get kids to take good care of their teeth. His team understands the unique approaches necessary for babies, children, and teens when they come in for care. They've recently moved to a new office, so make an appointment to check it out today! Dr. Broom has been serving the Mississippi Coast as a pediatric dentist for over 30 years, so his is a name that many parents trust. Dr. Stacey Carter was recently added to his practice, and her passion for working with children make her a strong addition to the team. Together, they are committed to creating healthy smiles for children across the Mississippi Gulf Coast, all in a fun and welcoming environment. For nearly 30 years, Nash Family Dentistry has been serving Vicksburg and the surrounding areas. From the doctors to the hygienists and receptionists, the entire team goes out of their way to be friendly and welcoming. They will be more than happy to answer any questions you or your child have about the best way to keep kids' teeth healthy and strong. If you live in Meridian and you're looking for a dentist for your children, consider Meridian Pediatric Dental Group. Dr. Britt McCarty and Dr. Shelley Ellis both have a genuine passion for working with children, and that attitude shows in their ability to make kids feel comfortable when they are in the chair. At Southern Smiles Pediatric Dentistry, the comfort of your child comes first. They specialize in working with babies, children, adolescents, and patients with special needs. Dr. Tiffany Green, DMD wanted to be a pediatric dentist from her own childhood, and her love for what she does will be evident from your first visit. For pediatric dental care in the Mississippi Delta, look at Tindle Family Dentistry. This is a true family practice, run by a mother and a daughter. The importance of family is obvious in this practice, and your children will feel at ease and even enthusiastic about their visits with their new dentist! Gulf Coast Pediatric Dentistry is the office of Dr. Maegen McCabe, DMD. The waiting area is spacious and brightly lit, creating an environment that will make children feel welcome right away. The exam room is also open, which is often less intimidating to children who may feel claustrophobic in a small closed-in room.